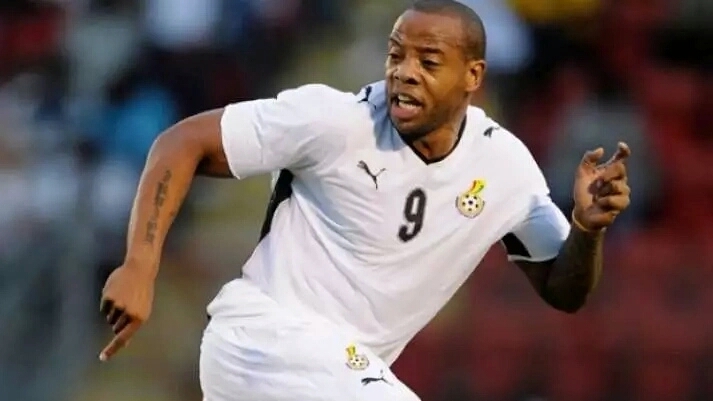 Former Black Stars striker, Junior Agogo has revealed how stroke has affected his life in many ways. The former Ghana star who was speaking for the first time after he suffered a stroke two years ago. Agogo suffered stroke when he was just 35 years old in 2015. The stroke led to him suffering also from Aphasia, which severely affects a person’s ability to use language. In an interview with the BBC Four documentary on Sunday to raise awareness of Aphasia on World Stroke Day the former Nottingham Forest and Bristol Rovers striker was visibly seen struggling to put words together. He tells a story of how his former colleagues have all ignored him. He noted he had thoughts but could not speak as a result of the stroke. “I had thoughts but where is my voice man?” Junior Agogo sarcastically asks while conducting the interview. Agogo is currently cared for by his mum in the UK. He is mostly home these days and runs in the park with his dog or he stays in bed. Agogo’s mum also revealed how the stroke has affected her son’s self confidence. Juniopr Agogo played 17 times for the Black Stars. The forward began his career with the Owls, playing three games for the then Premier League side between 1997 and 2000.